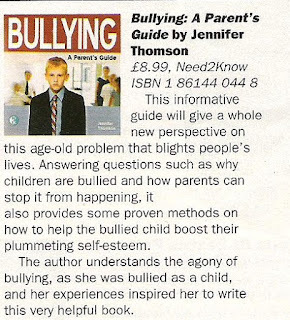 Bullying - A Parent's Guide was first published in May 2005. 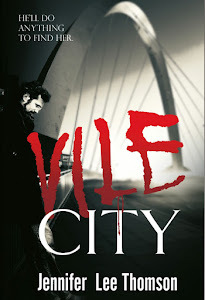 It was updated in 2008 and a new up-to-date version was published on September 1st, 2011. 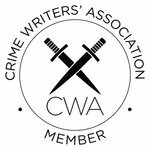 During that time because of the subject matter, it has attracted some media attention. 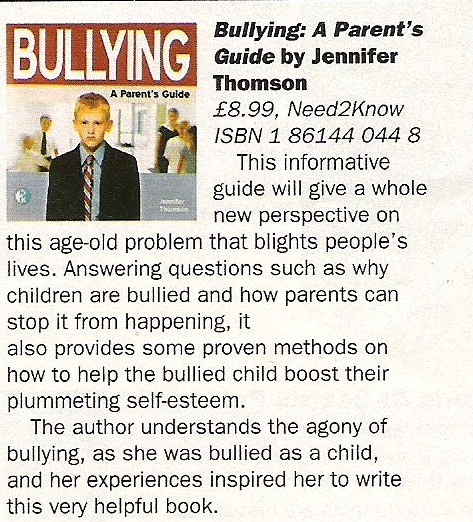 ﻿ Read some more reviews for Bullying A Parent's Guide here and here. 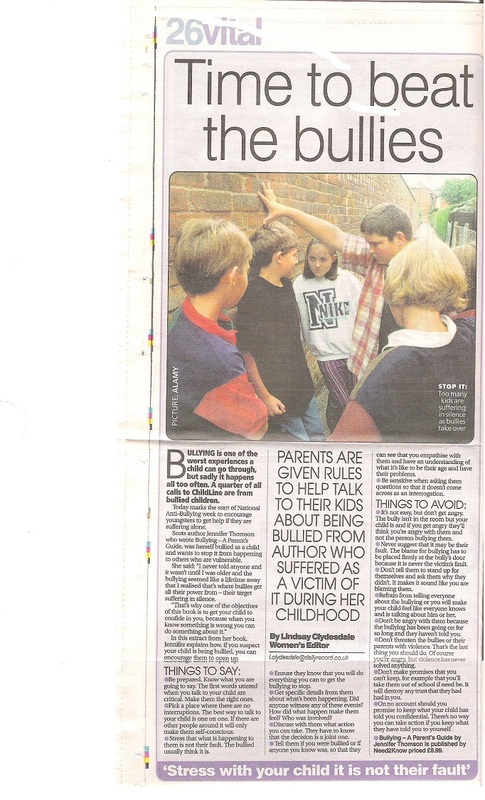 Thanks to children's writer Rosalie Warren (author of Coping With Chloe) for mentioning my book in a thoughtful piece she wrote about bullying.